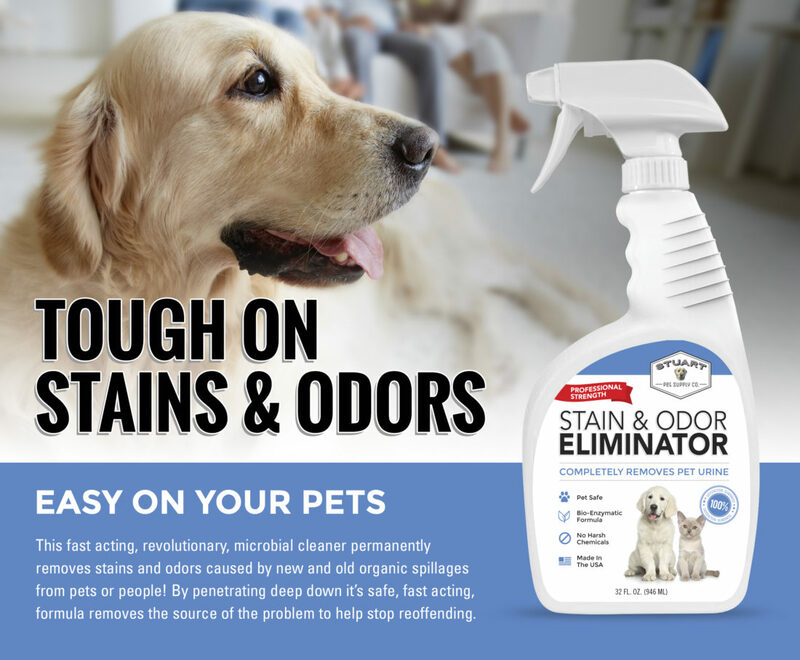 Massillion based pet care company, Stuart Pet Supply Co., contracted SMD to develop their new stain & odor eliminator bottle label design. The new packaging design reflects the Stuart Pet Supply brand with a modern vintage twist. 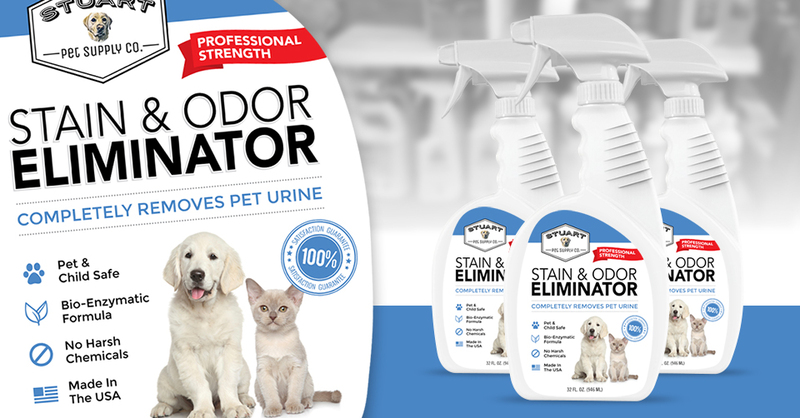 The new look will be carried out across the entire line of products carried by Stuart Pet Supply. 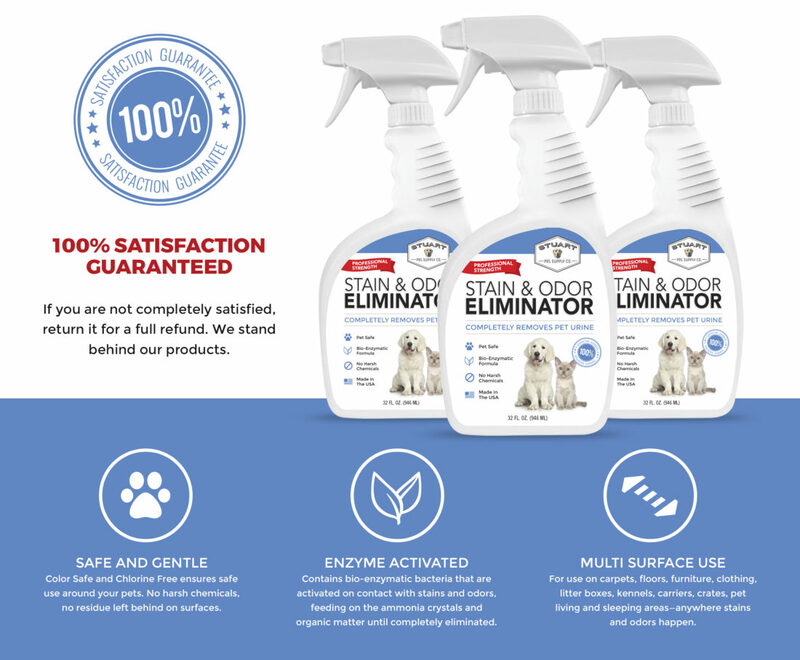 The Odor & Stain Eliminator is the first product to launch with the new design with others products being added to the line-up in 2018.